Home Sponsored Content Women in Technology- Flexible Hours, Great Salary, A Major Success! Women in Technology- Flexible Hours, Great Salary, A Major Success! In many Jewish homes today the women are the bringing in a large portion of their household income. In most cases, this is either because they are supporting their husbands who are learning, or just because it takes two incomes to make ends meet in today’s world. You may be wondering how women are able to run their homes, be there for their children, and also have time to learn the skills needed to get a high paying job. It’s a great question! Naaleh College is an amazing resource for women juggling multiple responsibilities. 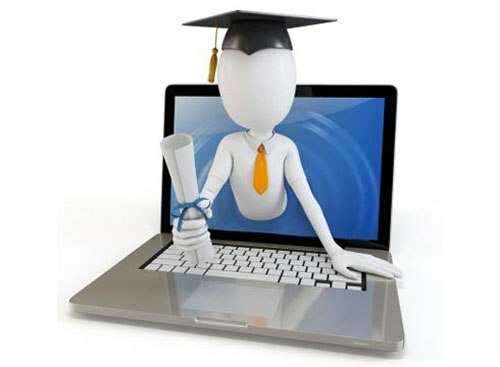 The college offers competitive degree programs in Computer Programming that enable students to earn an accredited degree from home, on a schedule of their choice, and at an extremely affordable price. With enough transfer credits, the degree can be completed in 18 months! Graduates come away with a degree in the rapidly growing field of full-stack development and the potential to earn a great salary! In fact, according to a February 2018 article on Engine Yard, Full-Stack developers have an average starting salary of $97,000 per year! There’s also another aspect of full-stack development and software engineering that makes it a great field for women. The jobs are often work-from-home and have flexible hours. This means that a busy mother can easily fit this type of job around her family’s schedule. Take a look at Bracha. Bracha supports her husband who learns in Kollel. When she first joined Naaleh College she was newly wed and working part time. Naaleh classes easily fit into her schedule. As time passed, Bracha had a baby and started working full time. Because Naaleh’s degrees are so affordable, flexible, and accessible, Bracha was able to continue at her own pace and fit classes in between her work and family. She mastered a wide range of programming and technology skills at Naaleh. Before she knew it, Bracha graduated and was soon working as a Front End UI Developer at Bitbean! Dassi is another Naaleh College graduate. In the midst of getting her college degree, Dassi got engaged and married. The happy couple decided to move to Israel which meant that Dassi’s studies had to be put on hold. Then she learned about Naaleh College, where the Computer degree is affordable, flexible, and accessible. By transferring to Naaleh College, Dassi was able to continue her studies even while having her first baby and traveling back and forth to the US. Just two years later she is ready to graduate with a degree in Computer Information Management! As Dassi enters the job search, her vast knowledge in computer science will give her the advantage over many other candidates. No matter where your life takes you, Naaleh College can help you get the degree you’ve always wanted in a fast-growing field with great earning potential! What are you waiting for?